Meet "Lance", our 53' fully digital expanding side production unit. 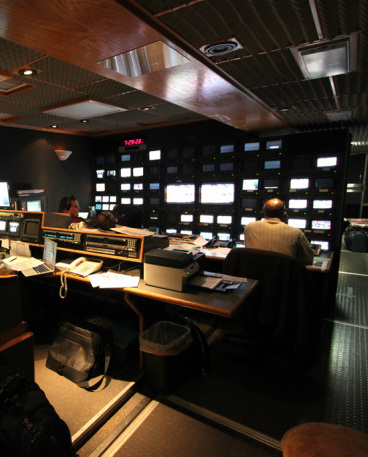 This 8 Camera truck features industry proven equipment with a large, comfortable production environment. Lance is built for the long-haul and is equipped with Sony BVP-900 Triax cameras, a Grass Valley 4 M/E Kalypso switcher, 3 networked EVS video servers, and a Yamaha Digital Audio console.